With years of experience working with most of the technologies and other 3D Printing companies we can guide you towards the technology. There is nothing more frustrating than trying to get a part printed, sitting with bad CAD geometry, unsure about which of the new technologies would suit your product and budget best, and on top of that, not knowing where to go to get all this done. With more than a decade’s worth of experience and working closely with most of the local and international 3D printing companies in the industry we are well aware of the pitfalls and frustrations. Let us help you! Our network is vast with access to almost any of the available technologies to date, and if we can’t help you personally we most ;likely will be able to refer you to someone who can. We can assist by Creating CAD files for you, we can make sure your CAD data is printable, we can also consult on which technology platform would suit your needs best making sure you get what you need the first time. 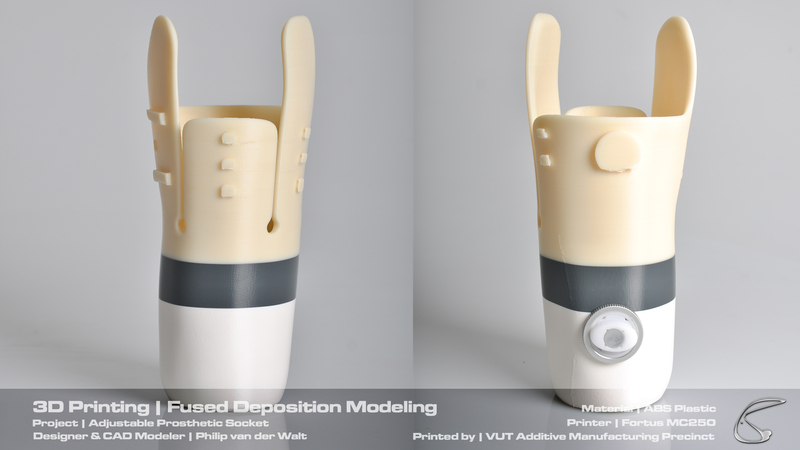 Below are some examples of 3D printed models printed on various types of 3D printing technology from various companies, this ranges from entry level Fused Deposition Modelling (FDM) printers to high-end Selective Laser Sintering (SLA & SLS) printing technologies. Each technology & process has it’s own advantages & disadvantages, understanding which does what good can save you tons of money and time.